Because of your support, we’ve continuously served the Huntington Beach and greater Orange County community for 44 years and, with your help, for many years to come. 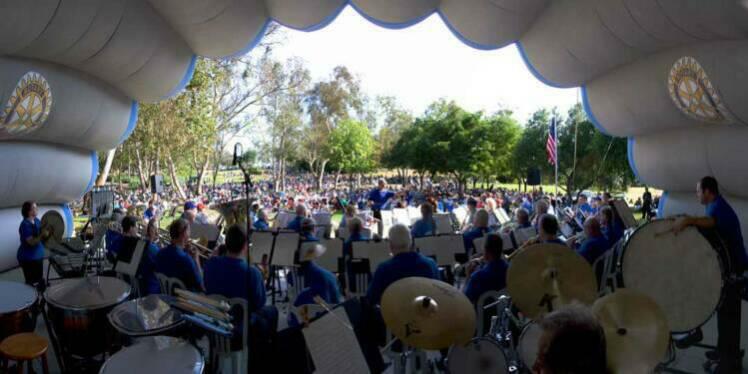 The Huntington Beach Concert Band, a 501(c)(3) non-profit organization, is funded by member dues and patrons, like you. With your continued support, the HB Concert Band Summer Series and the performances we provide to the community can keep going for another season. All of our members and board of directors are unpaid volunteers, with the exception of the music director, who is paid a nominal stipend. Help us pay for sheet music, public performance licensing fees, performing groups for the HB Concert Band Summer Series, and other operating costs that are necessary to bringing live entertainment to our community. You can donate securely online through PayPal using credit card or debit. Click on the PayPal donate button on the right menu to start (if on mobile or tablet, the button appears near the bottom of the page). Donations by mail are welcomed at the address below and a receipt will be sent to you. The organization also welcomes non-monetary donations. Inquire through our Contact Form. Thank you for supporting the arts in our community!